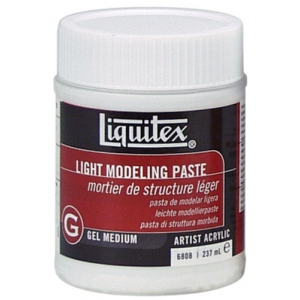 A lightweight airy flexible thick sculptural gel specifically formulated to be used in thick applications where weight is a factor. * Will not exhibit mud cracking. 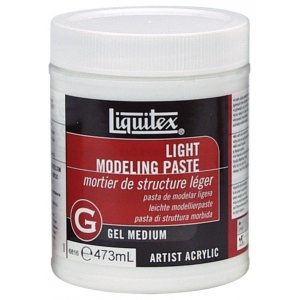 * Used alone will dry to a matte opaque white that readily accepts staining if desired.